Atlee who is turning a producer with the horror comedy, Sangili Bungili Kadhava Thorae (SBKT), arranged for a press meet today, 24th April. He said that the meeting was strictly to talk about his production banner ‘A’ for Apple. He said SBKT is a horror film that is treated as a family entertainer. 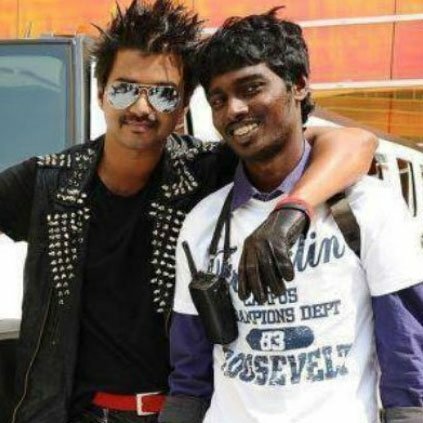 Atlee also disclosed that his next production would be directed by Surya Balakumaran, son of veteran writer Balakumaran. Nivin Pauly will be the hero of this film. His production number three will be directed by debutant Ashok, who writes comedy well, says the Theri director. Box office verdict out for Dhanush’s debut directorial! Google pays tribute to this superstar! Baahubali man's next film officially announced! People looking for online information on Atlee Kumar, Vijay, Vijay 61 will find this news story useful.